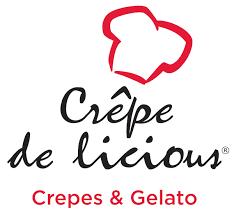 Crepe Delicious Franchise is strategically located in High Traffic Bentall Centre close to Sky Train Station serving Crepes, Coffee and made on Premises fresh Gelato ! Crepe Delicious Franchise is strategically located in High Traffic Bentall Centre close to Sky Train Station serving Crepes, Coffee and made on Premises fresh Gelato ! This Opportunity is an Upscale and Healthy Option to Traditional Fast Food occupying only 419 SQ FT of Space with a Lease Rate of only $2,700/MO including Hydro, Garbage, Water, Taxes and Royalties are 3.5% + 3% Advertising !! The Lease has 6 1/2 Years Left PLUS 5 Year Renewal . Hours of Operation are Monday – Friday 7:30am to 5:30PM. There is Huge Catering Potential for this Amazing and Strategic Location.